If you want a water-based lube that truly has it all, except for harsh ingredients such as paraben, sugar and glycerin, then you want Swiss Navy All-Natural Water-Based lubricant. 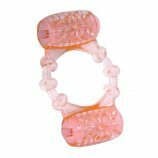 This incredibly long lasting formula contains carrageenan, which gives this lubricant the staying power and feel of a silicone-based product, without all the messy cleanup and stains. This slick and non-greasy lubricant comes in a patented leak proof bottle that has a locking cap for safety and travel. Additionally, there is a convenient single-hand operable pump for easy and non-interruptive applications. This premium lubricant is both condom and adult toy safe. 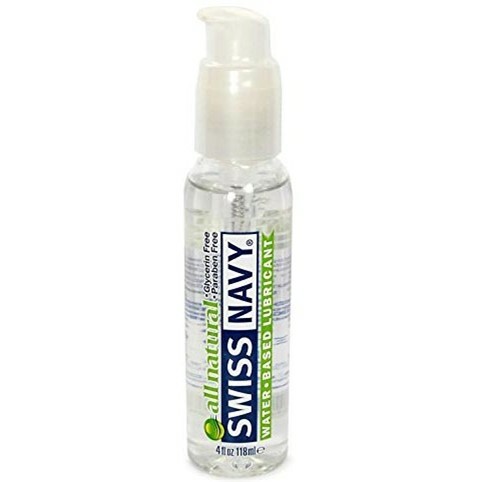 Swiss Navy premium personal lubricants are setting the standard in todays marketplace. The finest ingredients available are blended into these advanced formulas for exceptional glide and slickness. Swiss Navy All Natural - 4.oz. Review "Swiss Navy All Natural - 4.oz"